This our family’s favourite -Surprise the “surpriser” recipe.This recipe is very handy when we need to do something, when we’re out of supply of the produce, still has to serve the unexpected guests and impress them.So we always have the rice and dal combo powder in storage.Ok guys i could read your mind …. Here, the recipe is all yours now. Powder the rice and dal together to fine rava consistency. Powder the Cumin seeds and Black Pepper seperately and add it to the rice dal combo.So this is the basic powder you need for the patties.This powder can be stored in an airtight container for months. Continue stirring till the water is completely absorbed and resemble dough like consistency. 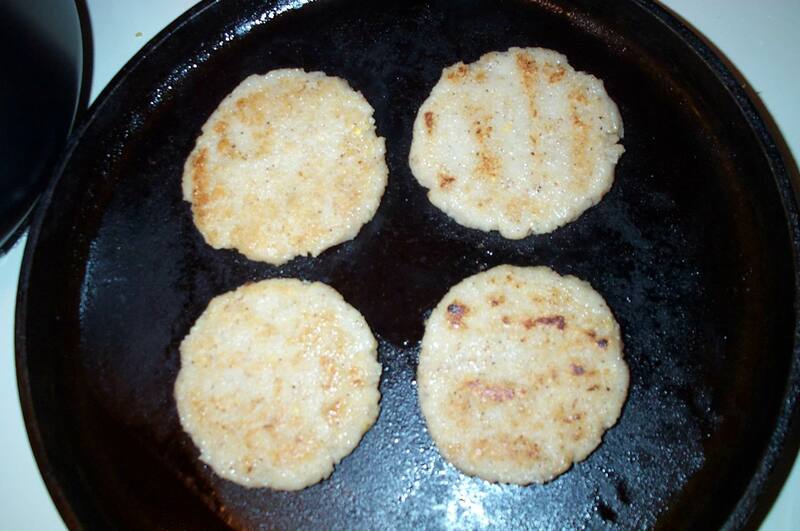 Once the dough is ready,divide into equal sized balls and make patties. Fry them in pan and serve hot with onion chutney. Crackle mustard seeds in a tsp of oil, add curry leaves and pour the above blended mixture and saute till the raw smell goes. Enjoy and let me know how you liked it. I haven’t even tasted this and it’s a favorite of mine already! LOL! It sounds very delicious! Thanks for sharing and participating in the FMR event. All the best from New England. That’s a very interesting recipe. Quite like the idea of preparing the pwd ahead and store. Nice entry and good pics. Thanks for participating in JFI- Dal and see you at the round up. I hope u would try it Paz. Thanks Sailaja! Just can’t wait to see the round up. Patties with toordal is an excellent idea. Welcome aboard, have fun blogging. Thank you for this recipe, this might even help us out to fix up dinner for one of those ” I am too tired to do anything else ” days. Looking forward to read more posts from you. Wonderful recipe Arsu…it looks healthy and delicious. I like savouries more that sweets but they always come paired with oil. This recipe looks ideal for me 🙂 Will try it out this weekend. Wow! !I love this recipe already.Such a easy recipe that is packed with protein. WUd definitely keep in mind and try sometime to impress my guests too…Thanks & Welcome to the world of food blogging!!!! Thanks for your hearty welcome and words of encouragement. Hope to keep up to your expectation buddies. Exactly Archana. The chutney also stays good for 2-3 days. Yes Priya its quite delicious, let me know how it came out and how u liked it. Btw sorry abt that your comment didn’t come out on 30th, I do wonder why! That’s kind of you to take time and comment on the recipe again. Once again thank you buddies! Loved that concept, ArSu. Btw, do you not have to wash the rice and toor dal before grinding them? I have added this to my to do list and shall definitely leave my feed back…thanx for sharing!! Yes Vaishali you need to wash and dry them before u make rava out of them. So delighted to hear that you will try it soon. Hope you’ll like it. Nice recipe. Nice Blog. Thanx for sharing your recipe. Pleasure is mine. Thanks for stopping by! That was a neat quickfix for unexpected guests! Really makes sense to keep a readymix powder stored for immediate use in the refrigerator. 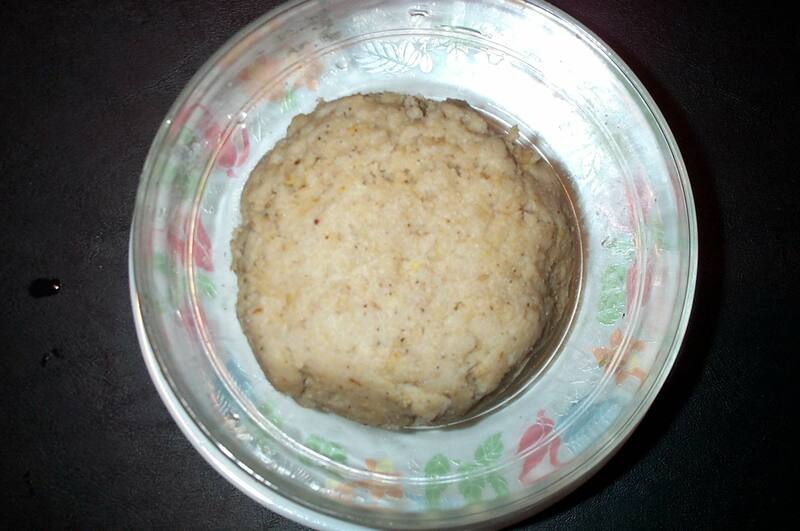 The patties bear a striking resemblance to the “adai” preparation of Tamil Nadu. For adais, we coarsely blend together one measure of raw rice, one measure of polished rice, half measure of toor dal, half measure of gram dal and 1 tablespoon of urad dal. Finely chopped onions, a pinch of asofoetida, powdered red chillies, cumin seeds and finely chopped curry leaves are then added to this and cooked on the tava like your patties. We are just about setting up our blog and are quite excited about it. We do have a website http://www.pritya.com. We are still trying to figure out wordpress fully. I really like your blog layout – simple and smart. I notice that the latest comments appear in the side bar. Did you do it up yourself? I have heard from fellow bloggers about ” Cooking at home with Pedatha ” and from the description and pictures from your website I am inspired in buying a copy soon. I am really looking forward for your blog, I am sure everyone would enjoy it. Awesome article. There’s a lot of great data right here, though I would like to let you know something – I am running Ubuntu with the up-to-date beta of Firefox, and the layout of your site is sort of bizarre for me. I could understand the post, but the navigation does not function so good.